It's almost like getting a new game! 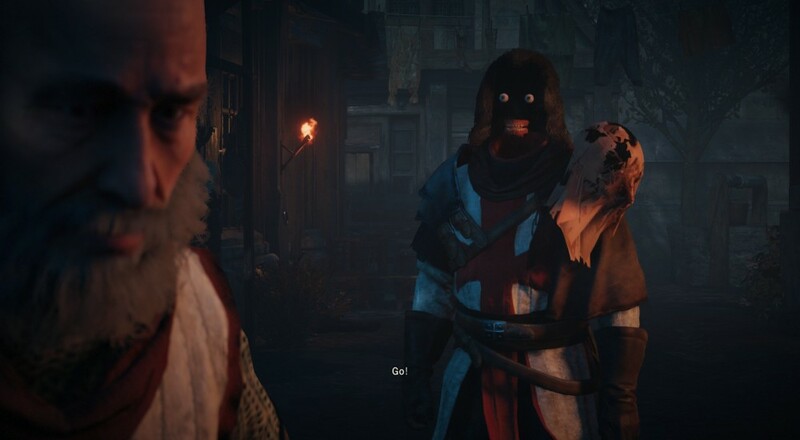 One month after its release, Assassin's Creed Unity is finally nearing a state of competent playability. The stealth-based action game was absolutely riddled with bugs and framerate issues when it first appeared on shelves, but Ubisoft sought to make good as quickly as possible by providing players with a full list of known issues and then working to remedy them as punctually as possible. When that was deemed not enough to convince gamers that the company was not, in fact, Satan incarnate, they then discontinued their season pass program, offering compensation in the hopes that it would sate their customers until Unity was in a satisfactory state. Fixed: Dumpster fire that had overtaken the QA department. Known Issue: Todd from Marketing. Known Issue: Gillette tie-in razor mascot has escaped into the ventilation system. We can feel his ever-watchful gaze as we compile these patch notes. Please send help. Known Issue: Optimization team revealed to be pack of wild dogs. We're honestly pretty impressed with how well they've done.